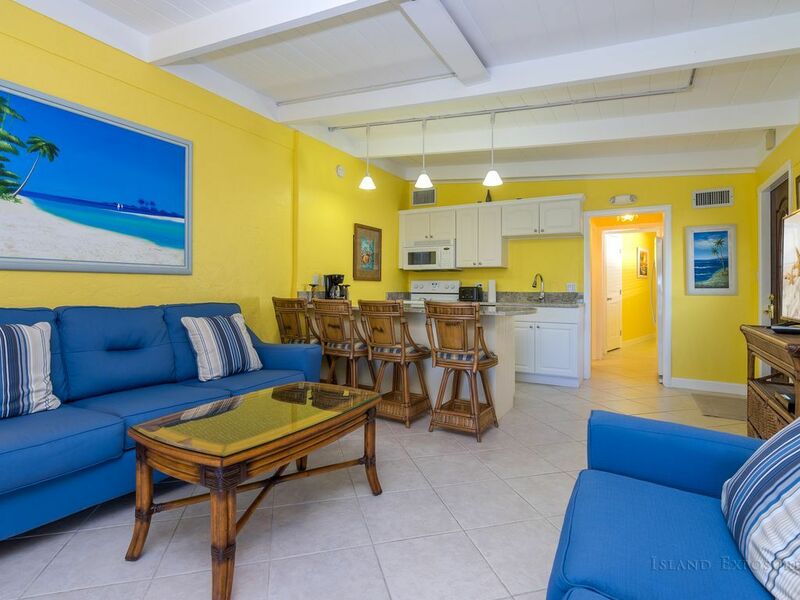 Welcome to Casa Mar Azul 2, a newly renovated 2 Bedroom, 2 Bath 1/2 Duplex home located in Key Colony Beach. 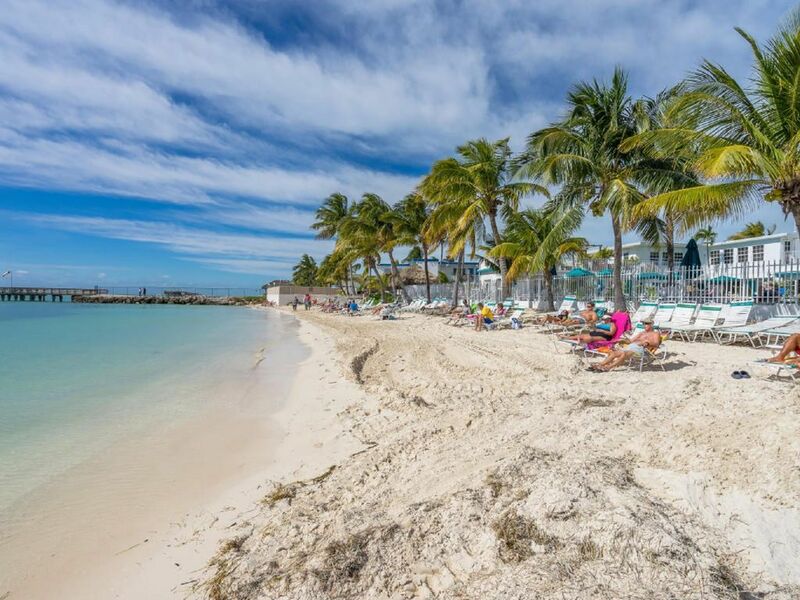 Key Colony Beach is a tropical island paradise, located in the Heart of the Florida Keys, with swaying palm trees and tranquil blue/green waters that will wash away your stresses of every day life! 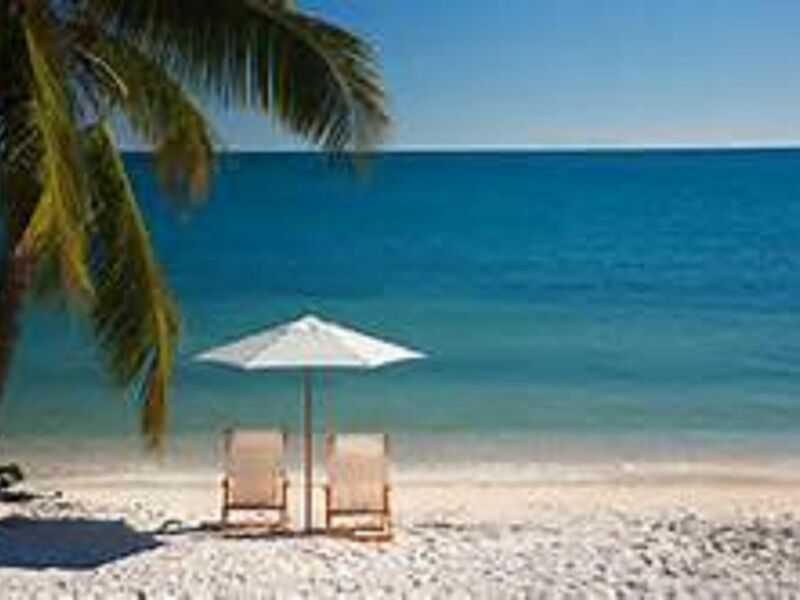 Do you prefer to be at a Private Beach. 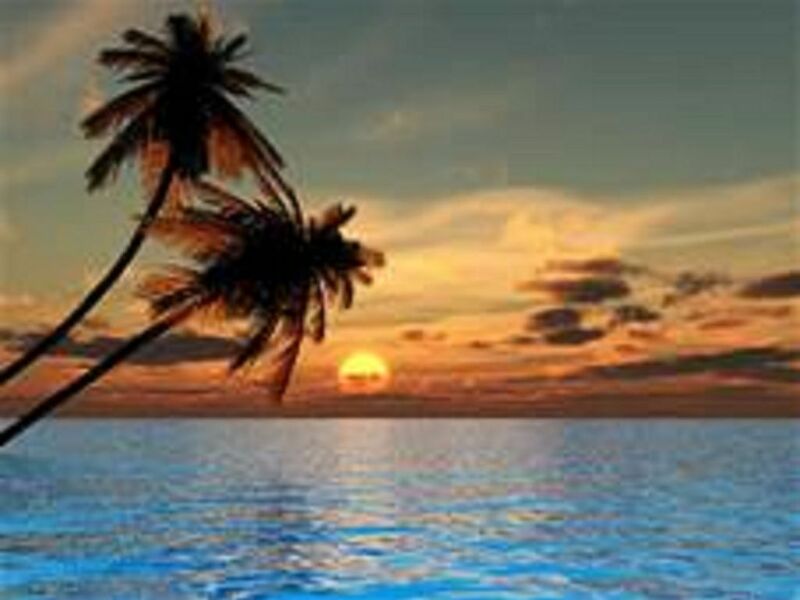 Well we have just the ticket... with passes to the Private "CABANA BEACH CLUB." 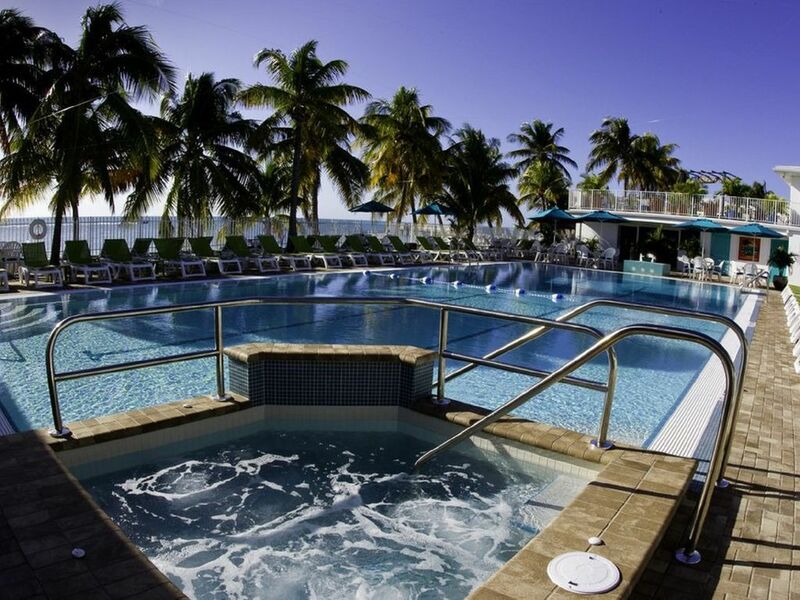 that is located just a 3 minute walk to a Beautiful beach with a huge pool, whirlpool and you can order Tropical Drinks, Great Food from the restaurant staff who take your orders at pool side or right on the beach. 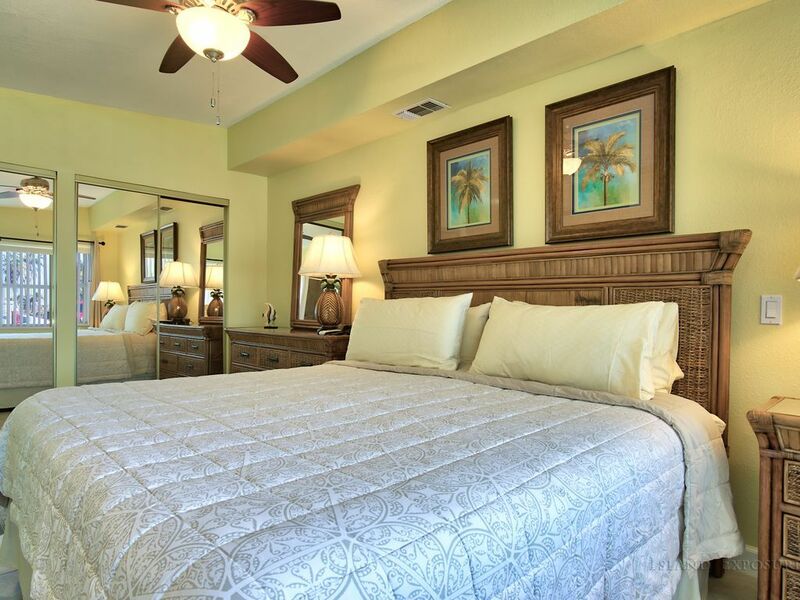 How sweet it is to have such convenience on your special vacation and make you feel special. You can also order Specialty Coffees and Ice Cream from the Cafe that is located near the pool at the "Cabana Beach Club." 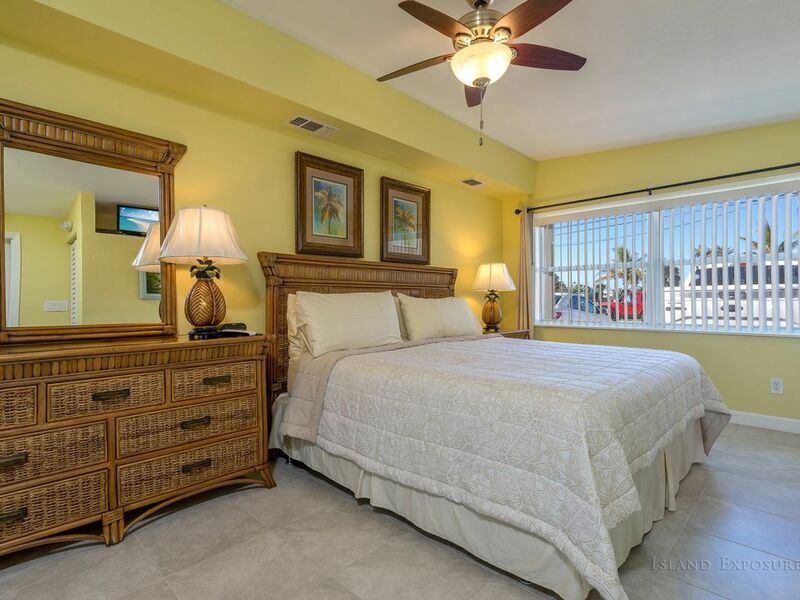 Our vacation rental is directly across the street from the Key Colony Beach Golf Course, a 9 hole Par 3, Executive Golf Course and there also is a children's playground is just a few minute walk at the end of our street. 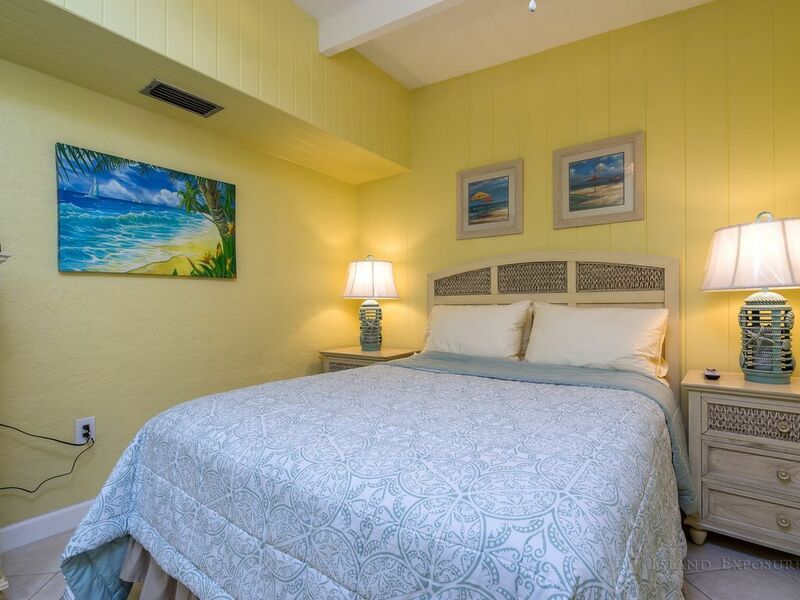 You are also in walking distance to tennis courts, bocce ball, boat rentals, diving, snorkeling, deep-sea fishing, walking paths, basketball courts, Sunset Park and much more! Please take note! Our home is SMOKE-FREE and CLEAN and NO PETS PLEASE. WE HAVE FREE WIRELESS HIGH SPEED INTERNET! 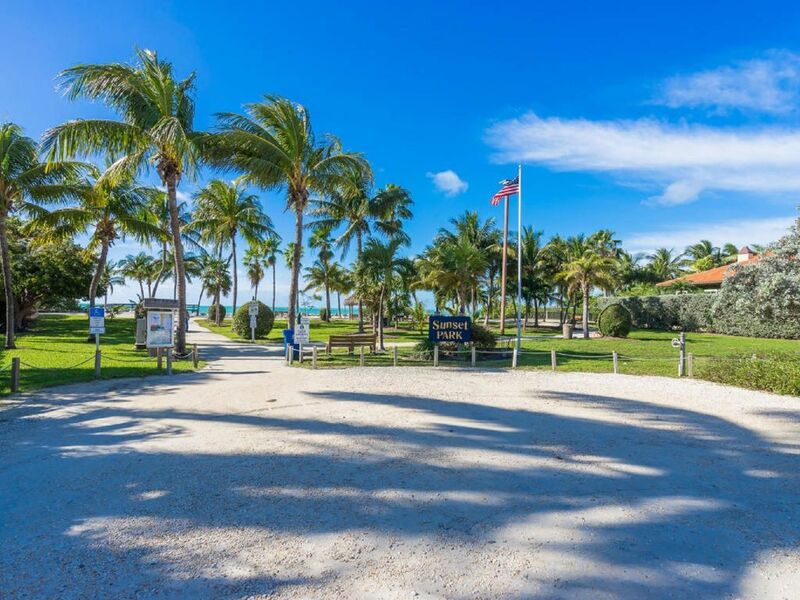 We are located on 7th Street and directly across the street from the Key Colony Beach Golf Course. 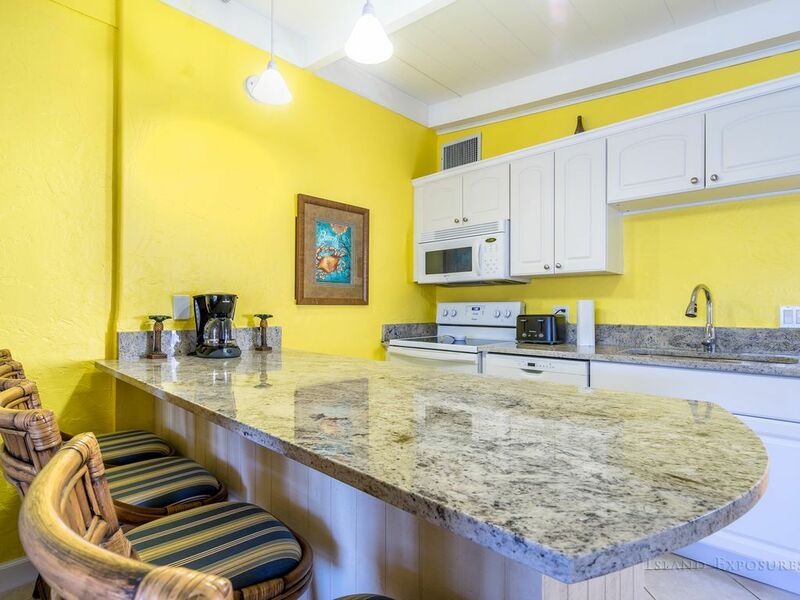 Our newly renovated beautiful vacation home has a open and spacious kitchen with granite counter tops, fully equipped with all the conveniences of home. The master Bedroom has a NEW KING SIZE BED with a private bath. The second bedroom has a 'NEW' Queen Bed with a private bed in the hallway. 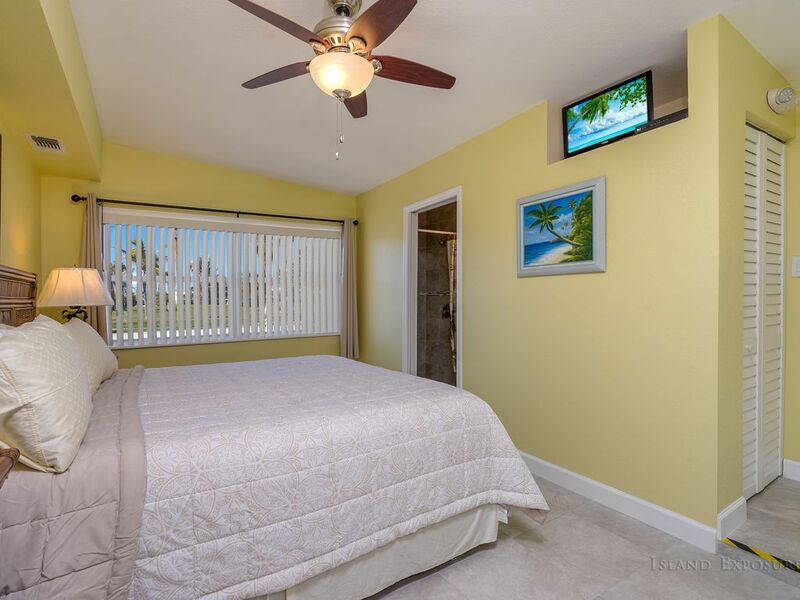 All bedrooms have TV's, radios & ceiling fans. 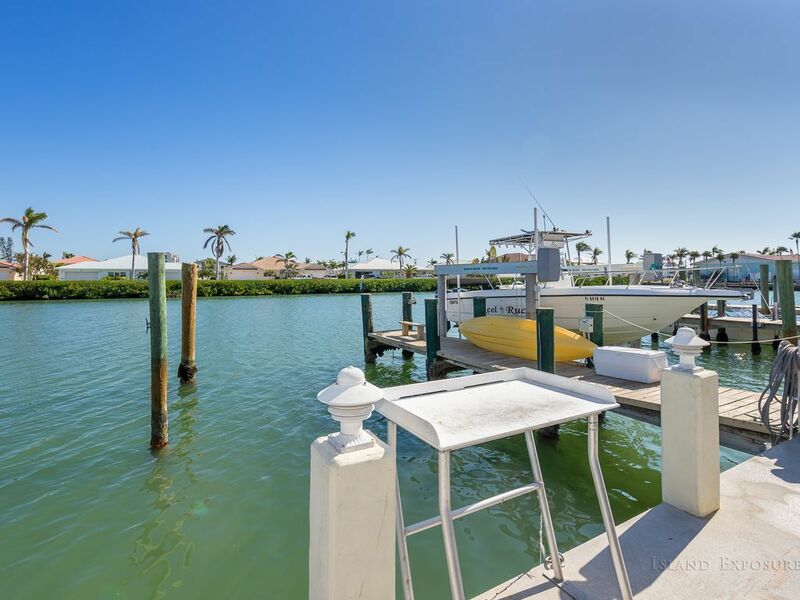 Enjoy our large dock on a deep water that will accommodate a boat up to 50 feet, beautiful view of our 200 foot wide canal which has easy access and within a 5 minutes to both the Atlantic Ocean and the Gulf Of Mexico (Florida Bay)! 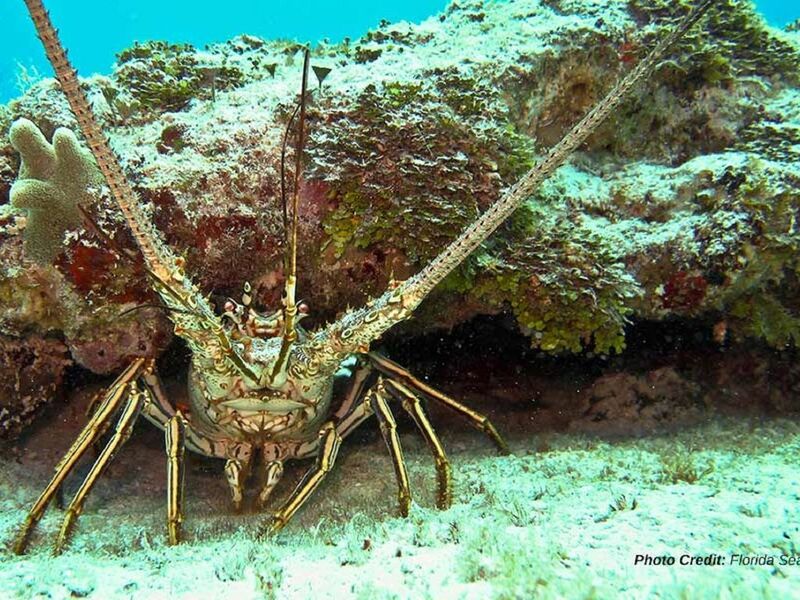 Located near the Living Coral Reefs, you are only minutes from the best fishing, diving, boating, sunning, and sightseeing in the world! There is Water, Dockside Electric Power, Swimming Ladder and a Fish Fillet/Cleaning Table at the dock. We have a Bait Freezer to store your chum and catch. 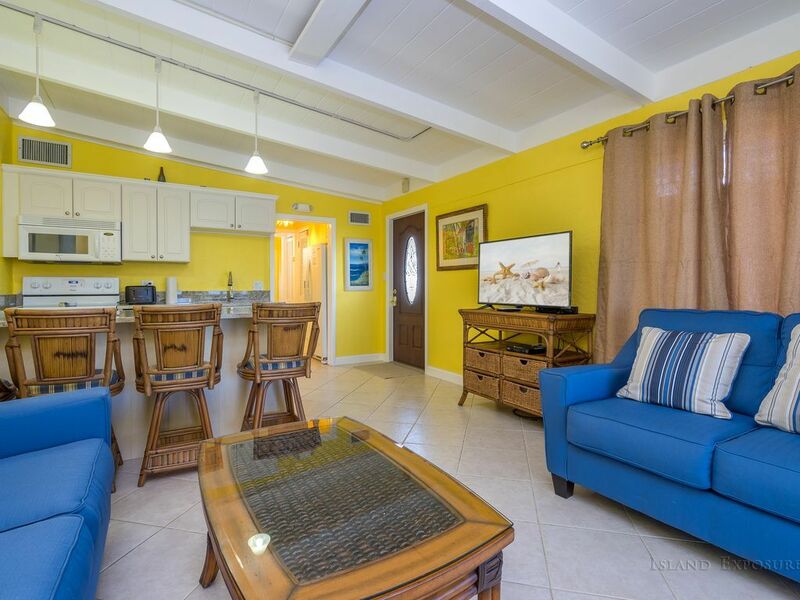 Your paradise rental includes the use of our private 'Cabana Beach Club,' which includes a Beach on the Atlantic Ocean side, Large Swimming Pool, Pool side Cocktail Lounge, and Snack Bar. Our island offers three restaurants, marina (with boat charters and rentals), and activities of all types. 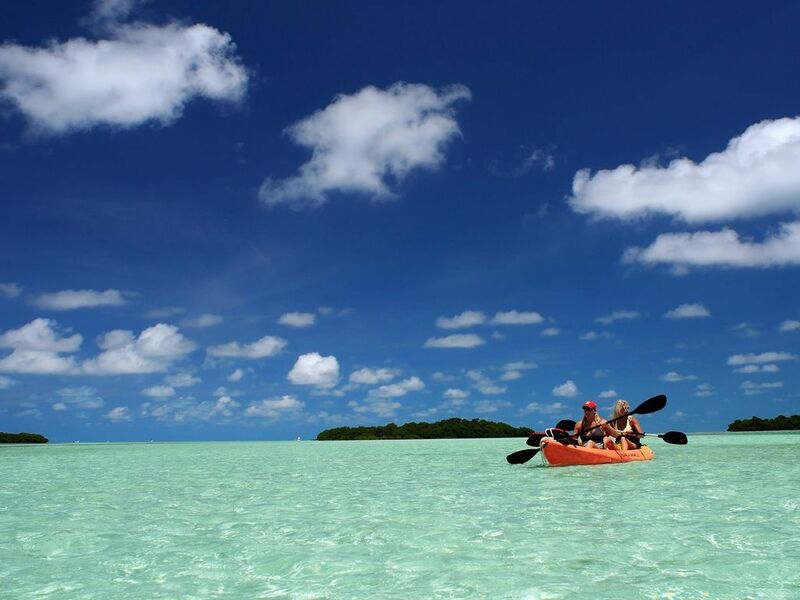 Come, Relax and Enjoy the local culture, fresh seafood, tropical island sites and weather. 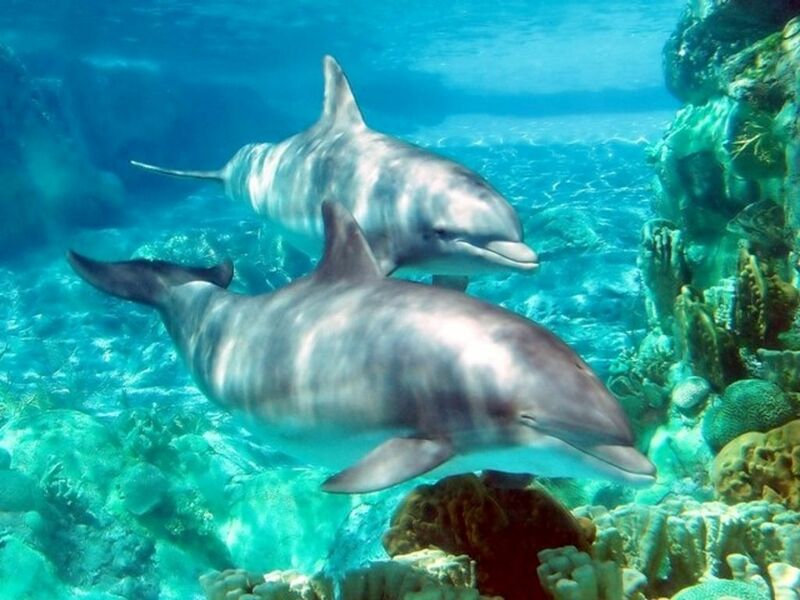 Many nearby attractions and activities . . Dolphin Research Center, Theater of the Sea, Crane Point Hammock & Museum, Bahia Honda State Park, Key West, etc, etc. All rates are for a maximum of 5 guests. Very cute, clean, and updated. We had a great week with my husband and two sons 15 and 18. So they are big guys and there was plenty of room for all of us. 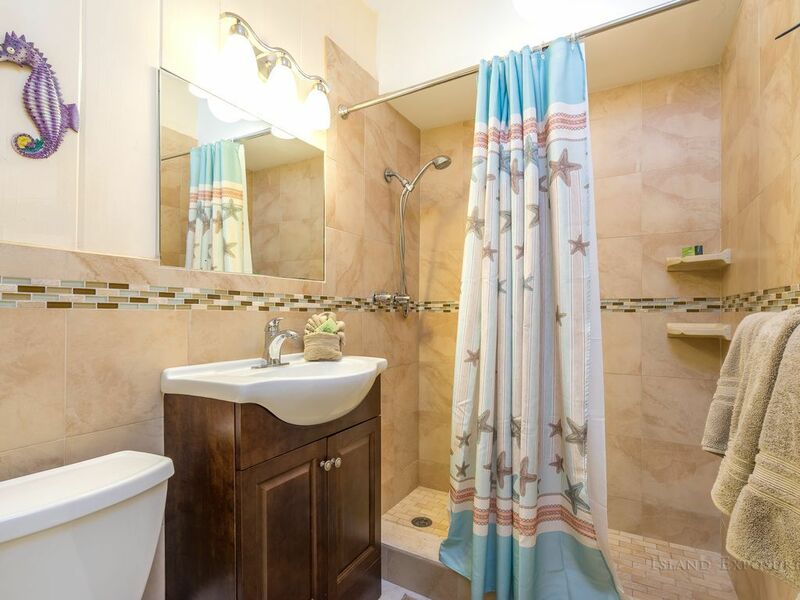 Everything is clean and updated and the owner is super responsive to any questions you may have. Not that we had any why we got there because everything is provided for you and there were no issues. 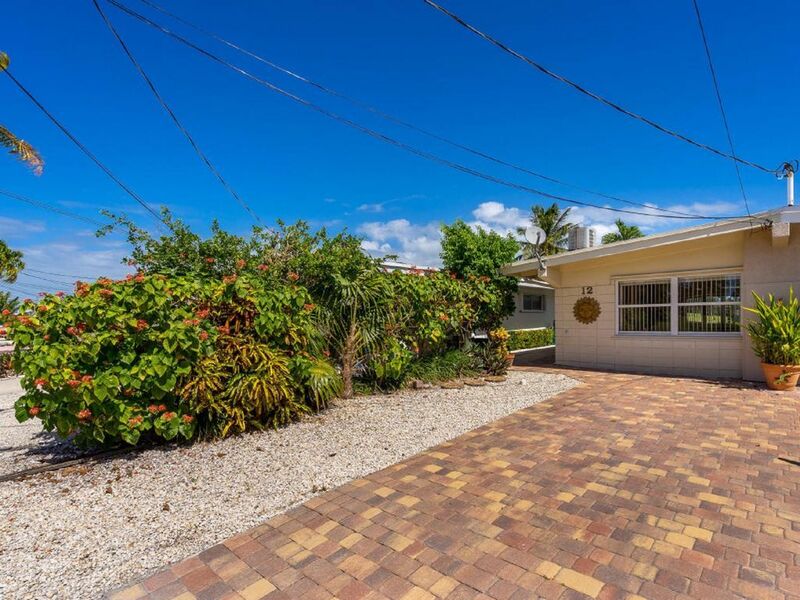 We have rented many houses in the Keys and this house was by far the most clean and updated. We have 35 ft boat and the dock was really nice with a nice fish cleaning station. The canal is super wide and you don’t have to worry about house or boats across the canal from you. I was a little worried because this was first time renting a duplex but you cannot here a thing inside the house from neighbors at all. Would definitely rent this house again. Loved the location, condition, & dock! We had a fantastic 7 day stay. This unit is exactly as advertised. 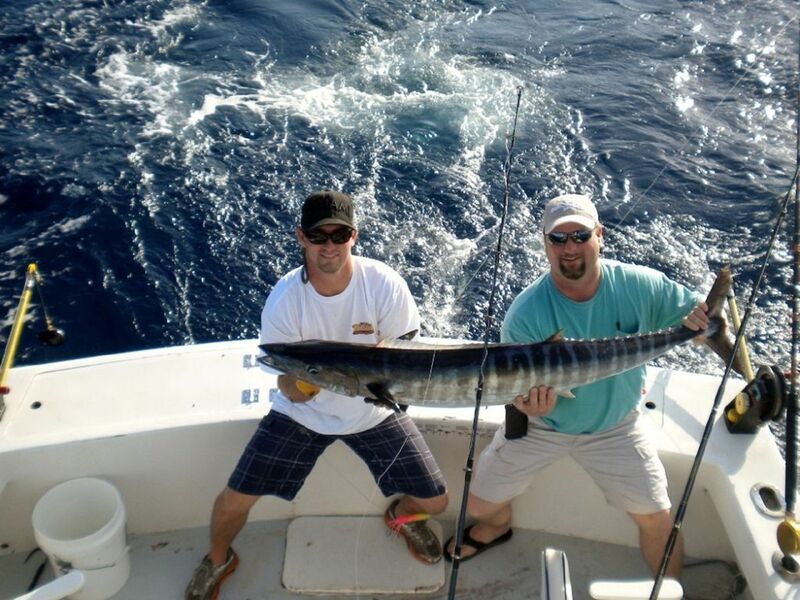 We spent the entire week fishing so the dock and location to the fishing grounds is superb! We’ll be booking again for next year. The unit is very well kept and the A/C was appreciated. Thank you. Nicely decorated, great location, boat dock was perfect. Will definitely be back! 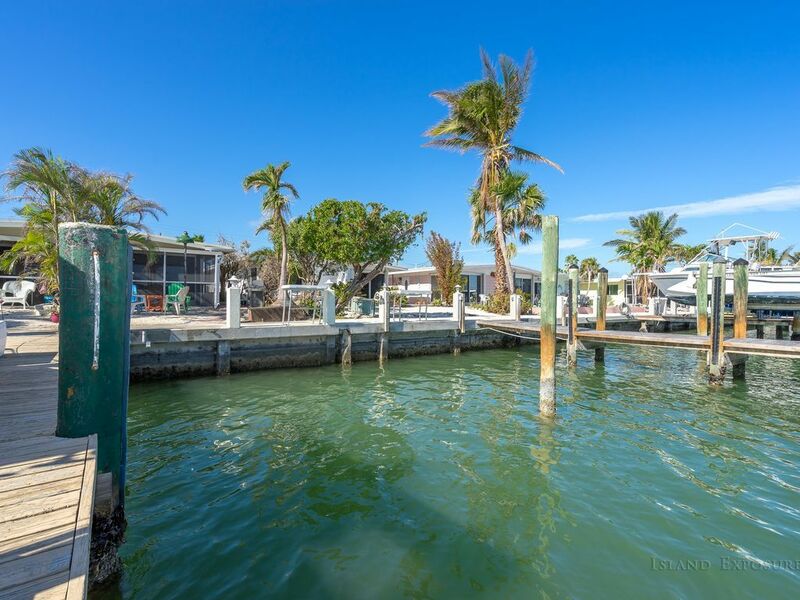 We discovered Key Colony last spring and this little area has bounced back nicely from the hurricanes of last season, as have much of the Keys in general! We enjoyed the access to the private beach and pool at the Cabana Club - we went twice and at neither time was it crowded. Having a dock made us able to rent a boat for three days which we had the perfect weather for and we caught a lot of different kinds of fish! Everything at the rental was clean - the only problem we saw was a cracked door on the microwave but we didn't use it anyway so it made no difference to us. Coolers are available along with chairs and towels and if you bring along a reel we left a pole there for you too! :) Had a great time and will definitely be back! 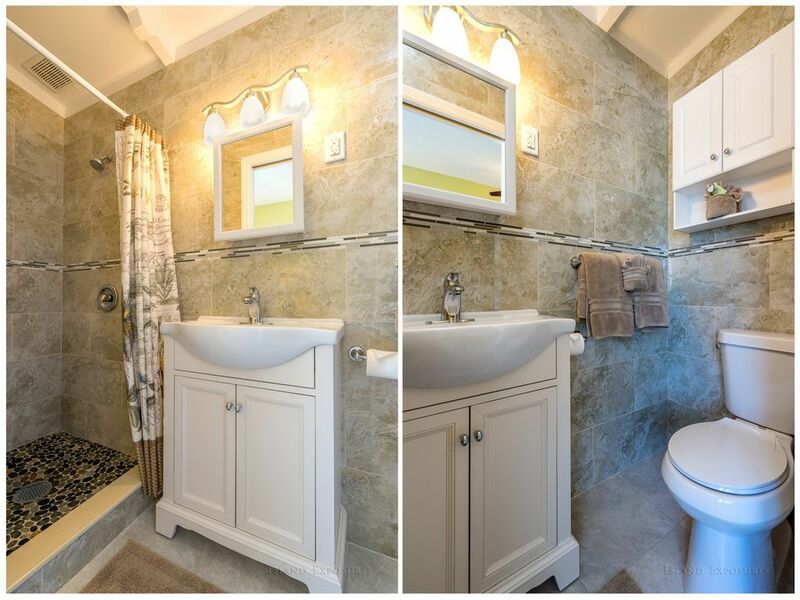 This place was very nice and clean, and updated throughout. Considering Irma, we were very happy overall. Master suite was great !. The canal front was wonderful and was nice to walk along in the evenings. Just right for 2-4 people. Its a lot bigger than you might think at first glance. Was also nice to be able to walk to KCB Inn and Sunset Park. The dockage would have been great had we brought the boat. Lots of sealife wandered through during the week, including Manatees, many varieties of fish, etc. Would definitely return again! 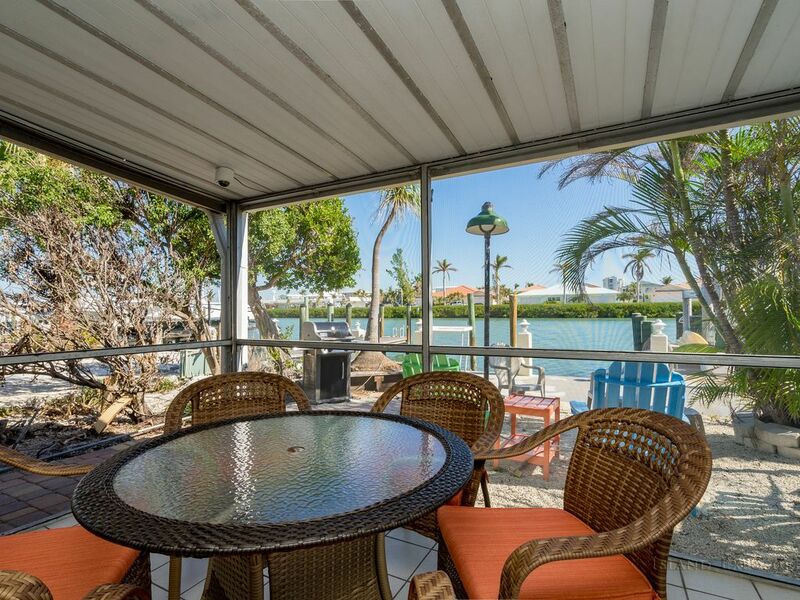 Property was in a great location, on a easy-access canal in Key Colony Beach. Complimentary pass to the Cabana club was a plus. Loved being able to dock the boat in front of the house. Home is nicely furnished, but a bit too tight for 2 couples. Screened porch was nice, but it would have been nice to have a dining table inside as well. Kitchen was well equipped, in-unit laundy is great. A few basic supplies would have made our stay even easier (a few garbage bags, an extra roll of toilet paper, cleaning product for surfaces), little things we did not expect to have to go purchase for a short 1 week stay. Only downside of this property is the close proximity of neighboors and the poor soundproofing between units. Perfect place to stay in the keys. Great location to everything. What an amazing place to stay. Owners super nice and very helpful. Saw lots of fish in the canal behind the house. Lots of huge tarpon! 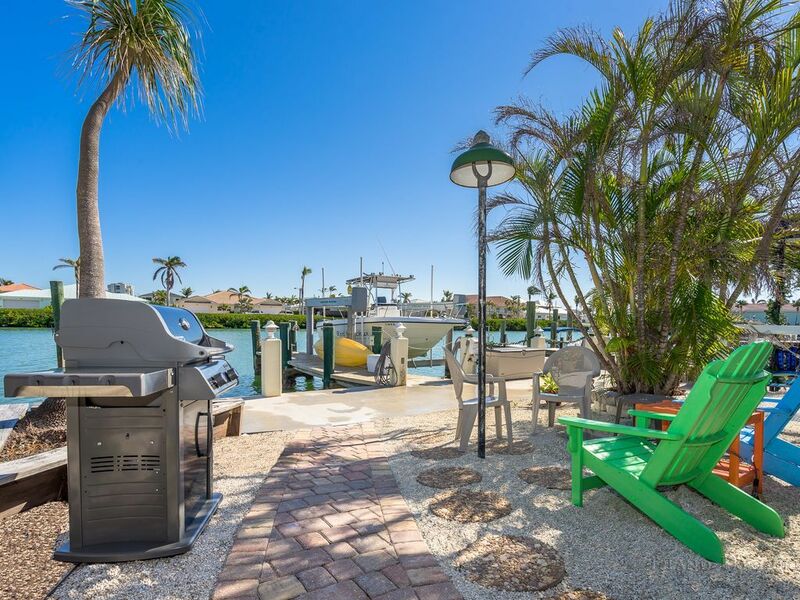 Great for boat rentals as your are right beside the vaca cut. Gulf and Ocean side are literally a two minute boat ride away. Short boat ride to Sombrero reef. We rented from Cocoa's boat rental... great to work with and top notch boats. Caught some barracuda and snapper by Bamboo key. Highly recommend Sparky's for a close bite to eat. Walking distance, great food, music and drinks. 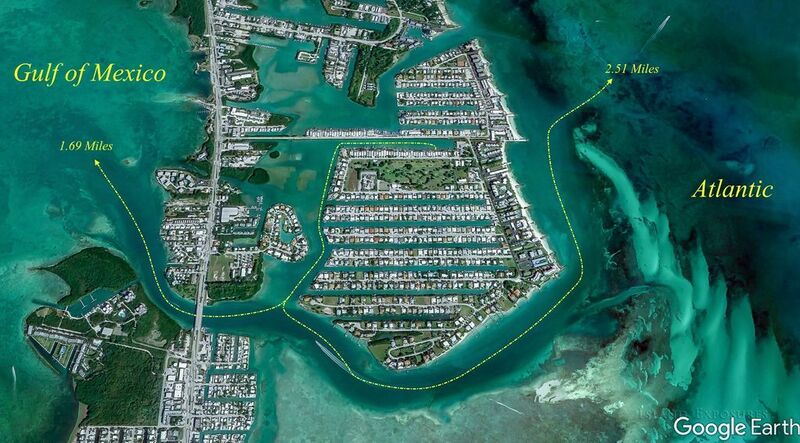 Charter boats available in walking distance. The inch beach was incredible... quiet, post card views. Cabana club was great when we wanted a chill day. I highly recommend taking a trip to the Dry Tortugas and if you have kids make sure you hit Robbies in Islamarado to feed the tarpons. 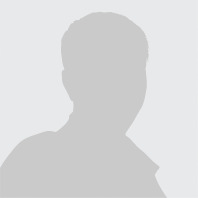 This rental is also incredible because you are close to some larger grocery stores like publix. Make sure you check out Savanah's sweet shop for ice cream. Sombrero and Bahia beach are just a short drive and both are incredible ways to spend the day. Loved our week in Marathan and at Casa Mar Azul II ! Upon arrival it was extremely clean and provided everything (plus more) we needed for a fun filled week. Spent lots of time on the dock fishing and watching fish and birds...saw a large shark, porpoises, a sting ray and various other marine life. Location was perfect and very quiet. Beach was a bit further than I anticipated. I would definately bring or rent bikes next visit. Traveled down to Key West for a day which was fun and a beautiful drive. We ate at several delicious restaurants and would definately recomment Sharkys (walking distance). We also found a nice little bagel place close by...Marathan Bagels...which we loved. Thank you, John, for providing a wonderful place for my family to spend quality time together. We are already planning our next trip! 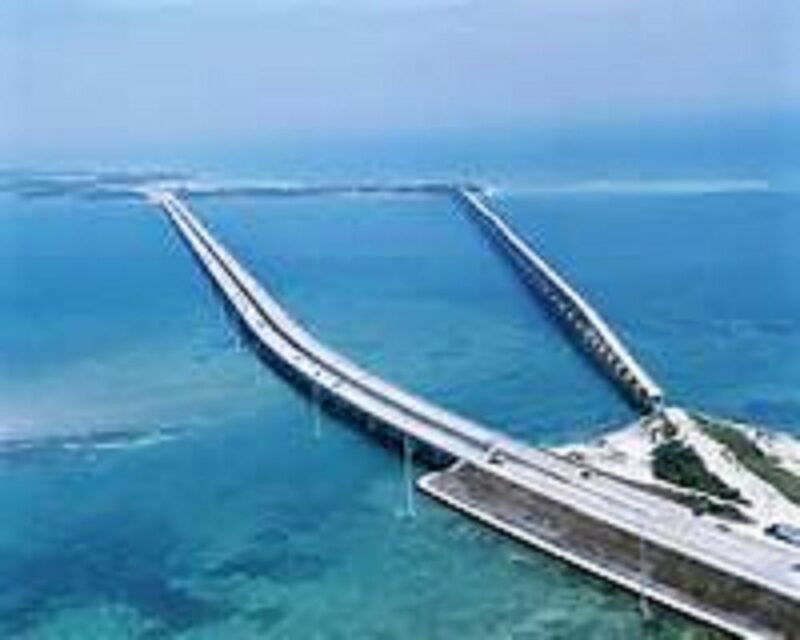 We will be back to the Key Colony Beach area when we visit the Keys again. This was a great vacation spot and the Casa Azul was the perfect fit for our family. 2 adults and 2 kids. We enjoyed the passes to the Cabana Club and the boat access right outside the back door. Perfect middle spot to travel where ever on the Keys. Publix - 10 Minutes. Awesome Food - 5 Minutes. Pool - 5 Minutes. Key West - 1 Hour. Thanks again John for letting us stay at one of your places, we will be back. 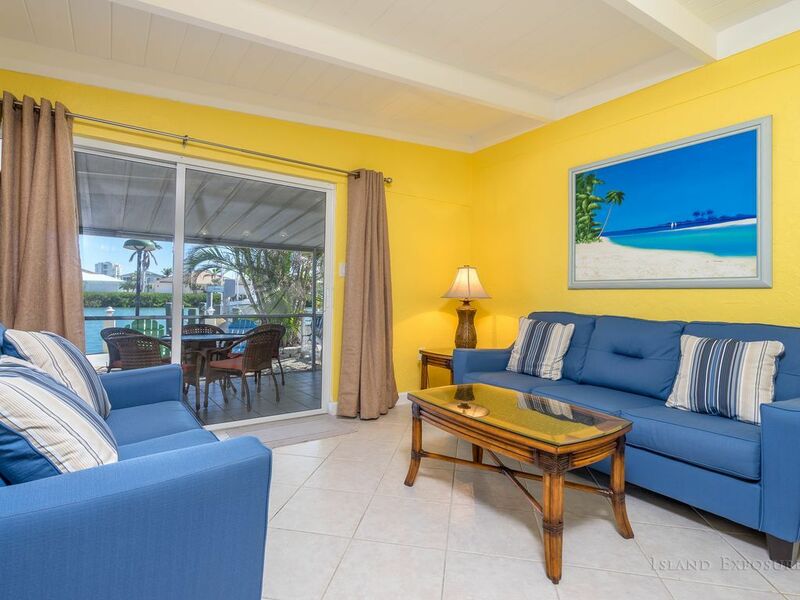 The property was situated in a very nice area that was quiet and very convenient to the boat rental, restaurant, beach area, and Cabana Club. Fishing off the dock wasn't very good, but it was nice to have slip for the boat for going out into the ocean. The accommodations were clean and any issues we had were addressed by the owner in an expeditious manner.